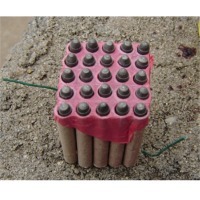 Sature Missile (Mouse Firework) UiG Brand Item Code: SMF-001 Made in China. Sample not available for regarded as firework. Must go with other fireworks on shipment. There exists a series of sature missiles of different shots including small package of hand-held ones. Shipment must be in FCL quantities. Shenzhen Rniao Technology Co., Ltd.
1.Economic design 2.High precision 3d optical mouse 3.Easy web navigation 4.Sensitive reaction 5.Meet fcc, ce, rohs standard. Each in white box, carton size:48.3*28.5*52.5cm, 100pcs/ctnú¼g.W:11kg. Short on time? Let mouse sellers contact you. Adopting high-resolution 1000DPI optical engine. Accurate optical navigation technology. The movement is more stable,the positioning more accurate. Encoder Scroll technology, durable and comfortable non-slip wheel design. Ergonomic design, feel more comfortable, Applicable right-handed and left-handed man. Can run on more surfaces smoothly. System Requirements: Applicable IBM or compatible personal computer. Based on the Microsoft Windows operating system computers: * windows Vista Official version * Windows XP Home Edition or Professional Edition * windows 2000 Professional or Server Edition * windows ME or Windows98 Second Edition * available PS / 2 port or USB port. Mouse, computer mouse, 2.4g mouse, wireless mouse, wired mouse. White box. Mouse Features Easy usb plug and play; infrared light; Image sensor:cmos , improves low light vision Snapshot button Image resolution: 640*480 Video data format support: color-24 bit color i 420 rgb Pc interface type: usb port, compliant to usb specification1.1. Digital video capture speed: 15-35 fps at cif 320*200, 5-15 fps at vga 640*480. Sensor type:color cmos image sensor size:4.86mm*3.64mm Focusing range:from 3 cm to infinity Functions:format support twain driving : wdm driving , vfw System requirements Windows 98/me/2000/xp Pentium ii 300 mhz celeron , amd athlon, cpu or above . 64m ram or abve One free usb port Cd-rom driver Sound card for sound effects, earphone. Modems and network card for internet video conferencing and videophone 200mb free hard disk space Pentium ii 300 mhz celeron , amd athlon, cpu or above .